The Homer Fire Department was formed in 1873 with the organization of Triumph Hose Co. No. 1. Since that time the department has grown and changed in many ways. We now are made up of Triumph Hose Co. No. 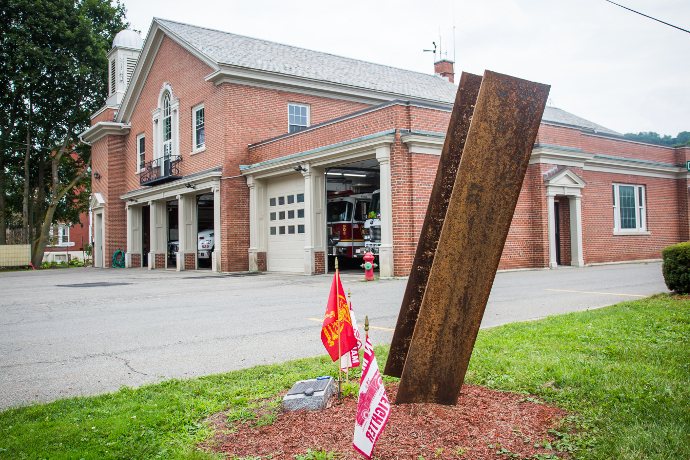 1, Tioughnioga Hose Co. No. 2, and West Side Hose Co. No. 3. There was a fourth Company, Homer Hook and Ladder Co., which was active from 1935 to 2010. Each of these companies has their own Captain, Lieutenant and administrative officers and has a membership limit of 30 firefighters. The department is very active in terms of the number of alarms we handle. For the year 2009-2010 we ran 772 fire and EMS alarms. Our district is about 125 square miles, and we cover about 13,000 population. 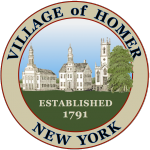 This district is made up of the Village of Homer, the Town of Homer, Town of Scott, Town of Summerhill, and the north central portion of the Town of Cortlandville. The department operates from one station situated in the Village of Homer. An informative video from NYS DEC on the Statewide Burn Ban. This time of the year small fires can quickly spread due to the presence of dry conditions and dead vegetation from the Winter season. Last night the Homer Fire Department responded to a reported structure fire in an apartment building on Pine St in the Village shortly after midnight. The first arriving Chief confirmed everyone had evacuated the structure, many of whom were assisted by the Homer Police Department, then the first arriving engine crew quickly advanced on the fire and extinguished in a timely manner, resulting in significant but isolated damage within the building. "As Fire Chief I'd like to take a moment and thank the firefighters of the Homer FD for making quick work of a structure fire in the Village that could have VERY easily been much worse. Also a thank you to the City of Cortland FD and Cortlandville FD for their assistance, Cortland for an Engine and manpower, and Cortlandville for an Engine with a FAST team. Thank you to all. ".